The Brotherhood is a 1968 Technicolor gangster film, directed by Martin Ritt and produced by Kirk Douglas. It stars Kirk Douglas along with Irene Papas, Alex Cord, and Luther Adler. The script was by Lewis John Carlino and the musical score was composed by Lalo Schifrin. Brotherhood is one of the most overlooked and underrated of the great gangster films. It was not especially successful at the time of its original release, and it has been almost completely overshadowed in film history by the more expensive and elaborate Godfather films of the 1970’s. The film, one of the first of its kind, deals with the inner workings of a Mafia family and the conflict of Douglas, its bound-tradition patriarch and his younger brother (Alex Cord), who feels that the mob should “change with the times” by exploring new and more modern fields of activity. The main reason for The Brotherhood’s quality was the excellent performance of Kirk Douglas, who practically carried the film single-handedly. He enjoyed a complete change of pace in his role, affecting a thoroughly convincing Italian accent and sporting a thick black moustache that really made him look the part. 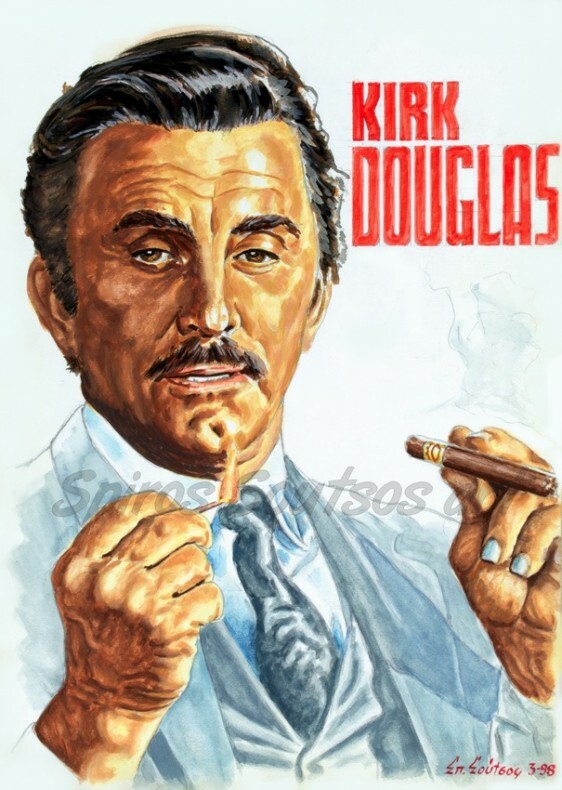 It was certainly Douglas’s most challenging role in years and one of his best performances. “The Brotherhood” bombed at the box office, with Paramount deciding not to do another gangster film until it made The Godfather four years later. Despite this, however, it is a film of definite appeal, a true gem which deserves a special place in movie history because it was one of the first major american films to attempt a serious story about Mafia.